This is a guest post by Martina Keyhell, author of BecomeANanny.com. Back when landline phones were a fixture in every household, kids were taught proper phone etiquette as a standard skill. Conversely, in 2010 USA Today reported that one in four American homes had only wireless phones, with that figure steadily climbing. As a result, more of today’s kids are growing up in homes without landline telephones altogether, simply receiving their own mobile devices when they reach an age that their parents determine is appropriate. Teaching your children proper phone etiquette at an early age can help them understand the best ways to politely and appropriately use both the decreasingly popular landline telephone and their own cell phone, when they receive it. 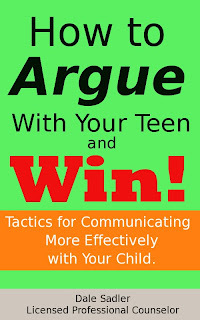 Children often have a tendency to give out more information than is strictly necessary over the phone. While these over-shares can range from mildly embarrassing to downright hilarious, that lack of discretion can be dangerous. Kids should be taught from a young age that certain information should never be shared with a stranger, which can help ensure that they never give out information that’s better kept quiet. To guarantee that your youngster understands what is considered appropriate sharing, role play a variety of hypothetical phone conversations and talk about the right way to handle certain questions. If you live in a home with a landline that is still regularly used, these conversations and exercises should start taking place before your child is allowed to answer the phone on his own. Kids learn much about what is and is not acceptable behavior by observing parents and other trusted adults, then modeling their own behavior after those observations. You can start teaching your child good cell phone etiquette long before he ever gets his own mobile device by simply practicing good phone manners yourself. To provide your kids with a good phone-etiquette role model, don’t take non-essential calls in quiet, public settings or use alert tones that disturb others around you. If you want to raise a child who doesn’t text or talk on his cell phone while driving, it’s vital that you don’t either. When it’s time for your child to get his first cell phone, it’s also a good time for you to discuss your family policy regarding accessing and sharing inappropriate content. If applicable, let your child know that his phone may be subject to random searches or that you’ve installed monitoring software to keep tabs on his phone use, and that he should never send messages or share photos that they would be embarrassed for anyone other than the intended recipient to see. Explaining that content is easily shared, both inadvertently and deliberately, and can never be retrieved may help to prevent him from sending potentially embarrassing content. Banning cell phone use during dinner or landline use after a certain time will help your children learn that it’s not appropriate or polite to send messages or make calls at all hours of the day or night. Enforcing the rule and explaining why your family has such a policy also presents a great opportunity for discussion regarding other times and situations where using a cell phone or placing a traditional landline call might not be acceptable. Bullying and peer harassment is a very real problem for today’s youth, and it extends far beyond the boundaries of school property. Modern technology allows cruel kids to reach their victims through social networking sites, email and text messages for what often amounts to round-the-clock torment. Talking about cyber-bullying, how to handle it and why it’s wrong before giving your child his first cell phone can also help to open a dialogue about the subject of bullying in general, which can offer you some valuable insights. Explain to your child that even sharing a message with cruel content written by someone else is cyber-bullying, and that it’s never okay to participate in pranks that cause other people pain. It’s also wise to teach him how to deal with any cyber-bullying that he might encounter, so that he’s prepared in the event of this all-too-common occurrence. In addition to teaching your children the rules governing public cell phone use, inappropriate content, and the basics of cyber-bullying, you should take the time to explain the proper methods for addressing someone after they answer the phone, asking to speak with a member of the household, and answering the phone in a polite, friendly manner.